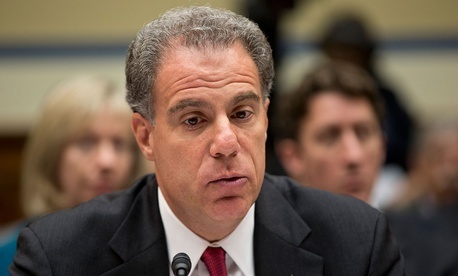 The inspector general, Michael Horowitz—commonly referred to as Justice’s internal watchdog—announced in January 2017 that his office would examine allegations of misconduct surrounding former FBI Director James Comey’s handling of the probe into Hillary Clinton’s private email server. The news was welcomed by both Democrats—who felt that Comey had shattered Clinton’s chances of winning the election by effectively reopening the email probe just days before the election—and by Republicans, who felt that Comey, after deciding not to charge Clinton with a crime, had let her off easy. “Horowitz is an extremely experienced and capable lawyer and former prosecutor,” said David Kris, a founder of Culper Partners who served as the assistant attorney general for Justice's National Security Division from 2009 to 2011. Even so, the IG’s findings and recommendations are broadly viewed as credible by Justice leadership, and will inevitably be leveraged by Trump and his allies in their efforts to undermine Comey, who was fired by Trump last May and subsequently became an important witness in Special Counsel Robert Mueller’s probe. In addition to investigating Russian interference in the 2016 presidential election, Mueller is looking at whether Trump attempted to obstruct the Russia inquiry. “The IG has considerable discretion in making recommendations,” Yeomans said. “There are times when management disagrees with the IG’s recommendations and it can disregard them, but it’s safe to assume (or has been in the past) that Congress will expect an explanation for why a significant recommendation was not followed.” The Justice Department, moreover, has historically taken the inspector general’s work “very seriously,” said Kris, the former assistant attorney general. He pointed to the reforms made a decade ago following the IG’s report on the FBI’s use of national-security letters. It is not clear what Horowitz will recommend. But the report will reportedly describe Comey as “insubordinate,” according to ABC, and is expected to criticize him for going around Justice leadership and announcing the end of the Clinton email probe with his decision to hold a press conference in July 2016, in which he explained the decision not to charge Clinton but excoriated her as “extremely careless” with classified information. Comey has said he made that decision because of a highly publicized meeting between then-Attorney General Loretta Lynch and former President Bill Clinton on the tarmac at Phoenix’s Sky Harbor International Airport in 2016. A draft report written by Horowitz and described to ABC also criticized Comey and his deputy at the time, Andrew McCabe, for allegedly dragging their feet on examining emails relevant to the Clinton investigation that were uncovered nearly six weeks before the election. Comey did not alert Congress to the emails’ existence until October 28, 2016, when he effectively reopened the investigation only to close it days later—again without recommending criminal charges against Clinton. Horowitz has also been investigating whether Justice or FBI employees leaked information about Clinton’s emails in the weeks leading up to Comey’s announcement.